Barcelona didn’t exactly have the best of starts this season, however following a recent upturn in results, the Blaugrana are set to go into the new year in good shape. The Spanish giants suffered a few shock results earlier in the season, losing to both Leganes and Real Betis in La Liga, something that saw them replaced at the top of the table by Sevilla for a few weeks. However, with Ernesto Valverde’s side seemingly getting into first gear as of late following convincing wins against Espanyol, Deportivo and Celta Vigo, fans of the club will be dreaming of seeing their club win yet another La Liga title, and maybe even the treble, come May. If Barca are to do this, they are almost certainly going to need reinforcements in the January transfer window, something that seems even more vital when you consider the amount of injuries the club’s squad has sustained already this year. Players like Thomas Vermaelen, Sergi Roberto, Samuel Umtiti and Lionel Messi have all spent a number of weeks on the treatment table already this season, something that left a fair few holes in the club’s squad. Following their business in the summer, Barcelona already looked in great shape to retain their La Liga title this season, however it seems like the club may need to dip into the transfer market next month if they want to hand their chances of winning even more silverware this year a boost. Thus, we’ve picked out a few players the club have been linked with these past few months, and put together a side that the Spanish giants could line up with for the 2nd half of the season should they get deals over the line for these stars. Two of the brightest prospects currently playing in world football are Ajax duo Matthijs De Ligt and Frenkie De Jong. 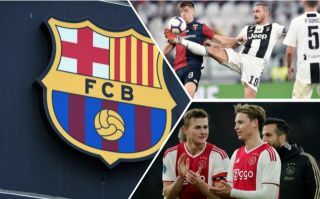 The pair have both managed to cement their places in both Ajax and Holland’s starting XI’s this past year or so, and it seems like Barca are very much in the hunt to sign the duo. According to Mundo Deportivo, Barca are keen on signing both De Ligt and De Jong, and that a deal for the players could cost as much as €150M, a price that would genuinely be worth paying when you consider just how vital both stars could be for Barca in the coming years. De Ligt’s composure on the ball and ability to play out of defence would make him a perfect fit for Barca, and a great replacement for Gerard Pique, who’s time at the Nou Camp will have to eventually end sooner or later. De Jong’s want to carry the ball forward from deep, and his ability to play defence splitting passes, would make him a superb back-up option for Sergio Busquets, and seeing as the Spaniard is soon to be approaching the twilight years of his career, the Dutchman would make a fine replacement for Busquets in the not-too-distant future. 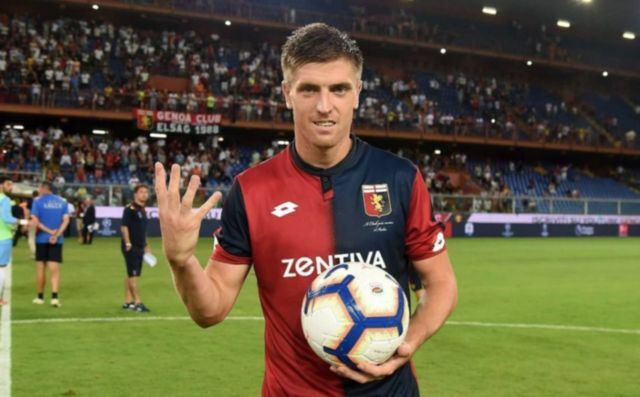 One of the most surprising players so far this season has been Poland and Genoa forward Krzysztof Piatek, who’s been setting Serie A alight this term with his blistering goalscoring form. The 23-year-old has already managed to score an astonishing 20 goals in just 19 games in all competitions this year, with the forward currently leading the race for the Serie A Golden Boot, ahead of the like of Cristiano Ronaldo and Gonzalo Higuain. And it seems like the player’s performances haven’t gone unnoticed, as Calcio Mercato are noting that Barcelona, as well as Chelsea and Juventus, are all tracking the Pole, and that his asking price currently stands at €60M. Barca should definitely think about going for Piatek in the winter window, as the Polish international’s could very well be a fine back-up, and eventually replacement, for Luis Suarez in their side. Suarez, who turns 32 next year, has declined a fair bit in recent seasons, and it seems like he could very well be heading out the exit door at the Nou Camp in the coming years if he keeps declining at the same rate. Signing Piatek in January would allow for Barcelona to rest Suarez for important matches later in the season, with the Pole’s arrival also meaning that the club would have a more than adequate replacement for the Uruguayan in the coming years. If Barca do decide to bring in Piatek and De Ligt, the Spanish giants could decide to start the duo more often that not in order to help them settle in to life at the Nou Camp as quick as possible, as well as familiarise the pair with the club’s playing style. 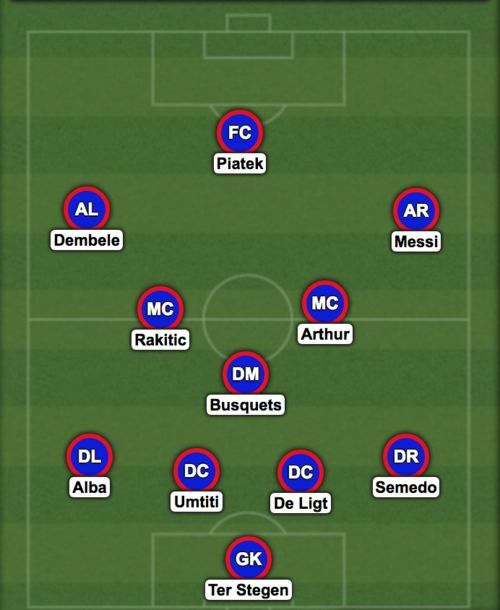 It might be a while before we see De Jong claim a place in the Blaugrana’s starting XI, but signing him would allow them to rest Busquets when their schedule gets congested later in the season, as well as breed him into their side to eventually replace the Spaniard in the coming years. Now that’s a treble-winning team if I ever saw one!